WASHINGTON—Taking full responsibility for the major oversight, Facebook CEO Mark Zuckerberg apologized in his testimony to the House Energy and Commerce Committee Wednesday for not realizing the full scope of his genius. “At the time, I thought I was only making a simple tool to connect people and was completely unaware that my brilliance had the capability of creating something that would so dramatically reshape all of society, and for that I am truly sorry,” said Zuckerberg, adding that he was to blame for not anticipating the incredible depths of his own intellectual power from which his $500 billion brainchild sprung, transforming all areas of media, communication, business, and politics, globally and forever. “Were there signs I had the visionary potential to completely change the way humans interact and turn multiple industries on their heads? 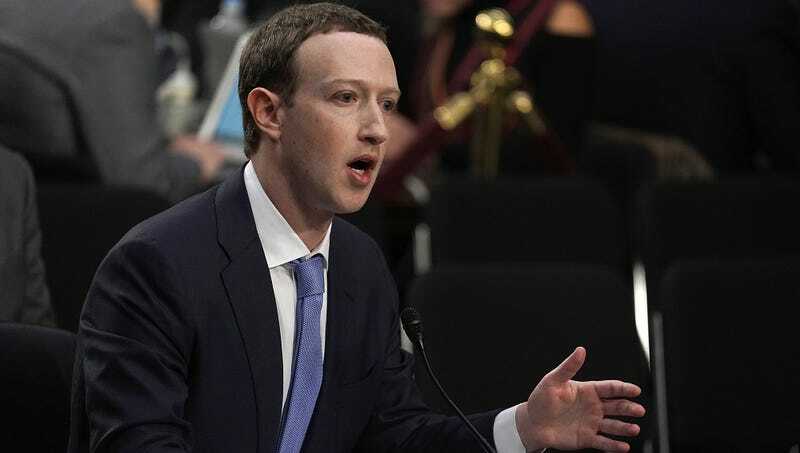 Sure, but I did not foresee the extent to which my immense skill and talent would make me the most important human being in modern history, and that’s on me.” Zuckerberg promised the committee that in the future, he would be more careful by assuming that every step he took would have acclaimed, revolutionary consequences.